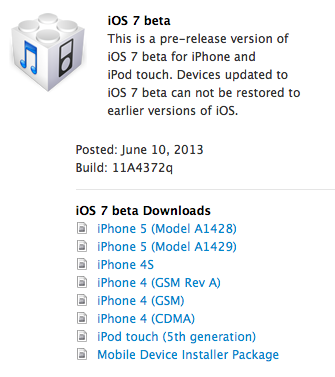 In my last post, I mentioned that Apple has released their newly iOS 7 beta version for developers. It announced that news at the WWDC 2013 keynote on Monday morning. 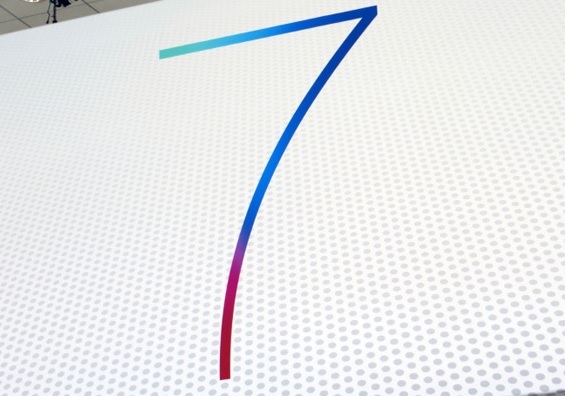 In this conference Apple announced that iOS 7 betas 1 download now available for developers on iOS developer center. If someone doesn't have developer account access then click here. Yesterday, I had tried iOS 7 beta version on my iPhone for our personal testing. If users have sufficient access to the iOS dev center then they can download iOS 7 beta 1 version on their iPhone, iPad and iPod Touch devices. Now everyone can download iOS 7 beta version using iOS dev center, and if anyone don’t have access to iOS Dev Center to download iOS 7 betas. You can download iOS 7 iPhone, iPad and iPod Touch devices with direct links. We have already collected and uploaded of iOS 7 beta 1 to our servers.